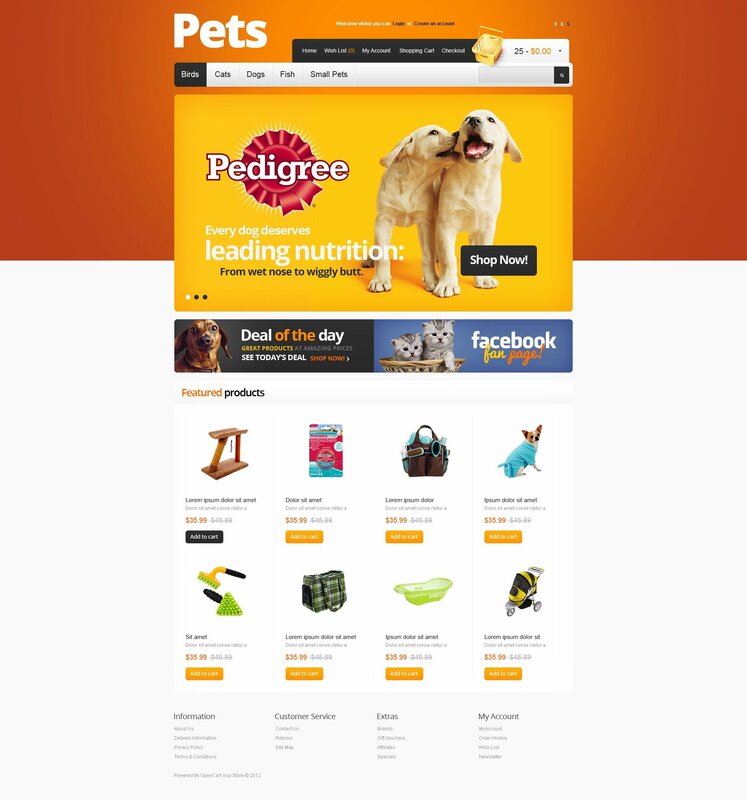 Increase your income and the number of your customers; retail your pet products online. Cheerful color scheme and cute animal images will give the visitors a lot of positive emotions. Slider and banners advertise the best products and offers. All featured products are supplied with orange Add to cart buttons affecting the buyers' activity.